Economy American Electric Power American Gas Association American Geophysical Union American Meteorological Society Antarctic Meteorology Research Center Applied Energy Services, Inc.
S. George Philander Princeton University in its 2007 report, the Intergovernmental Panel on Climate Change (IPCC), a large, international panel of scientists, all experts on the Earth's climate, concluded that human activities, specifically those that cause an increase in the atmospheric concentration of carbon dioxide, have started affecting the Earth's climate. The panel further predicted that far more significant climate changes are imminent. This report, and Al Gore's documentary An Inconvenient Truth are persuading a rapidly increasing number of people that human activities can lead to possibly disastrous global climate changes. Those nonscientists are passionate about being wise and responsible stewards of the Earth, but at present they are handicapped because they take the words of the scientists on faith, and accept the reality of the threat of global warming without grasping the scientific reasons. This is most unfortunate, because our response to the threat of global warming is far more likely to be effective if it were motivated, not merely by the alarms scientists sound, but also by knowledge of how this very complex planet maintains the conditions that suit us so well. We need an awareness of how extremely fortunate we are to be the Earth's inhabitants at this moment in its long and eventful history, and an understanding of how our current activities are putting us at risk. 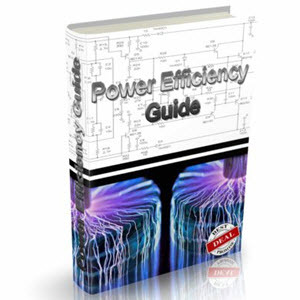 The purpose of this encyclopedia is to help the reader learn about the intricate processes that make ours the only planet known to be habitable. This encyclopedia covers, in addition to the science of global warming, its social and political aspects that are of central importance to the ethical dilemmas that global warming poses: (1) How do we find a balance between regulations and freedom? (2) How do we find a balance between our responsibilities to future generations, and our obligations to the poor suffering today? The first dilemma, which generates strong emotions, has caused an unfortunate polarization of a complex, multifaceted issue. The extremists who find regulations abhorrent assert that there is no evidence of global warming. (They are sometimes referred to as deniers or skeptics.) 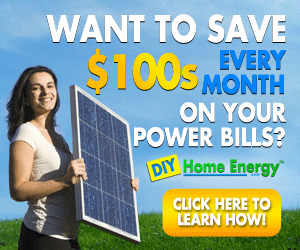 Their opponents, the believers, claim that global warming is underway, and is already causing environmental disasters. For believers, the second dilemma assumes global warming is already contributing to the suffering of the poor and therefore is an urgent priority for everyone. They refuse to accept that, for the many people who are so poor that they have nothing to lose, global warming is not an urgent issue. Dilemmas 1 and 2 call for compromises and hence for an objective assessment of the scientific results. The IPCC reports, which provide such an assessment, are explicit about uncertainties in the available results and hence favor neither the deniers nor the believers. The magnitudes of the uncertainties vary, depending on the time and region under consideration, and depending on whether we focus on temperature, the height of the ocean surface, rainfall or some other parameter. Earth's temperatures fluctuate in a relatively narrow range; the Earth, unlike its neighbors Venus and Mars, is neither too warm nor too cold. TiNY FRoM AFAR: in our solar system, Earth, third planet from the sun at left, is dwarfed by giants Jupiter and Saturn. The order of the planets starts with mercury, which is closest to the Sun, then Venus, Earth, Mars, Jupiter, Saturn, Uranus, Neptune, and controversial Pluto. 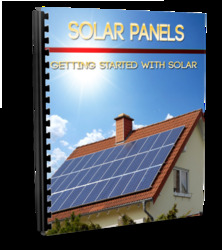 provides a basis for the development of an effective response to the threat of global warming. Let us assume that we are aliens from another galaxy, in search of a habitable planet. On entering this particular solar system, our attention is at first drawn to the large, spectacular planets Jupiter and Saturn which are adorned with splendid rings and many moons. Earth, tiny by comparison, is a faint, blue dot from afar. Closer inspection shows that two of the Earth's main features are chaotically swirling white clouds, and vast oceans that cover nearly 70 percent of the surface. Both are vitally important to the Earth's most impressive feature of all: a great diversity of life forms that require water in liquid form. The abundance of liquid water means that, on the Earth, temperatures fluctuate in a relatively narrow range; the Earth, unlike its neighbors Venus and Mars, is neither too warm nor too cold. The Earth's main source of energy is the sun, but this planet would be far too cold for most of its inhabitants were it not for its atmosphere, the thin veil of transparent gases that covers the globe. (If the Earth were an apple, its atmosphere would have the thickness of the peel.) This veil, by means of an intricate interplay between photons of light and molecules of air, serves as a shield that provides protection from dangerous ultraviolet rays in sunlight. The atmosphere serves as a parasol that reflects sunlight, thus keeping the planet cool; and as a blanket that traps heat from the Earth's surface, thus keeping us warm. The blanket is the greenhouse effect, which depends not on the two gases nitrogen and oxygen that are most abundant, but on trace gases that account for only a tiny part of the atmosphere, .035 percent in the case of carbon dioxide. SATELLITE VIEW: a photograph from space of a setting sun shows how thin the atmosphere is. If the Earth were an apple, its atmosphere would have the thickness of the peel. temperatures were to increase by a modest amount, then evaporation from the oceans will increase, thus increasing the concentration of water vapor in the atmosphere. The result is an enhanced greenhouse effect that increases temperatures further, causing more evaporation, even higher temperatures, and so on. The consequence could be a runaway greenhouse effect—this is thought to be the reason why Venus has no water today. The Earth was spared this fate because it is further from the sun than Venus, and is sufficiently cool for the air to become saturated with water vapor, in which case clouds form. Clouds present the following question: Is their net effect cooling, because of the sunlight they reflect, or warming because of their greenhouse effect? The answer depends on the type of cloud. Occasional glances at the sky reveal that there are many, many types. 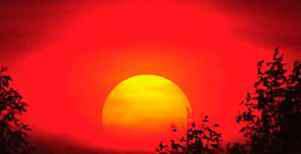 Uncertainties about future global warming stem mainly from uncertainties concerning the types of clouds that are likely in a warmer world. Simulating these fantastical, ephemeral objects is the biggest challenge for scientists trying to reproduce climate in computer models. The westerly jet streams are so intense that some bands of latitude are known as the Roaring Forties and the Screaming Fifties. latitudes, while warming up higher latitudes. The circulation that effects this redistribution includes surface winds that are easterly (westward) in the tropics, where they converge onto the regions of maximum surface temperature at the equator. There the air rises into tall cumulus towers that provide plentiful rain. Aloft, the air flows poleward, cools, and sinks over the subtropical deserts. Some of the air continues further poleward to join the westerly jet streams that are so intense that some bands of latitude are known as the Roaring Forties and the Screaming Fifties. This atmospheric circulation, despite its chaotic aspects that we refer to as weather, creates distinctive climatic zones—jungles and deserts, prairies and savannahs—that permit enormous biodiversity. In the tropics, the atmospheric circulation, and hence the pattern of climatic zones, are strongly dependent on patterns of sea surface temperature that influence how much moisture the winds take (evaporate) from the ocean, and then deposit in rain-bearing clouds. The most surprising feature in the sea surface temperature patterns is the presence of very cold surface waters right at the equator in the eastern Pacific Ocean. (When he visited the Galapagos Islands, Charles Darwin commented on the curiously cold water at the equator where sunlight is most intense.) 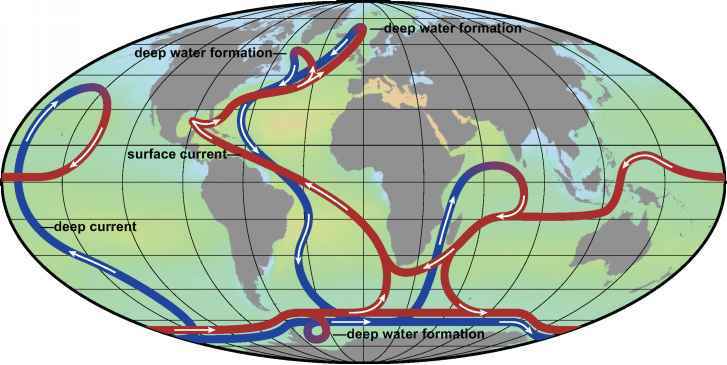 To explain this we need to explore the oceans, the thin film of water that covers much of the globe. PRECIPITATION MAP: There is a strong relationship between amount of precipitation and ocean temperature. Charles Darwin remarked on the surprisingly cold waters off the Galapagos Islands. 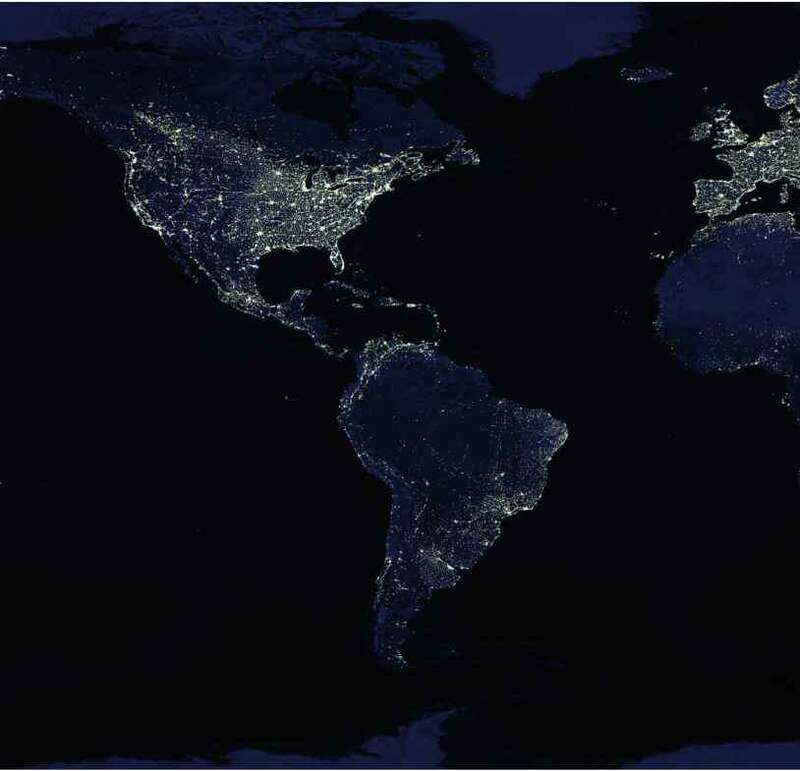 EARTH LIGHTS FRoM SPAcE: This map by NASA shows a composite image of lights on Earth, but both the landforms and lights appear brighter than would be visible to an unaided observer in space. researchers were able to produce this map of lights showing urban surface activity. 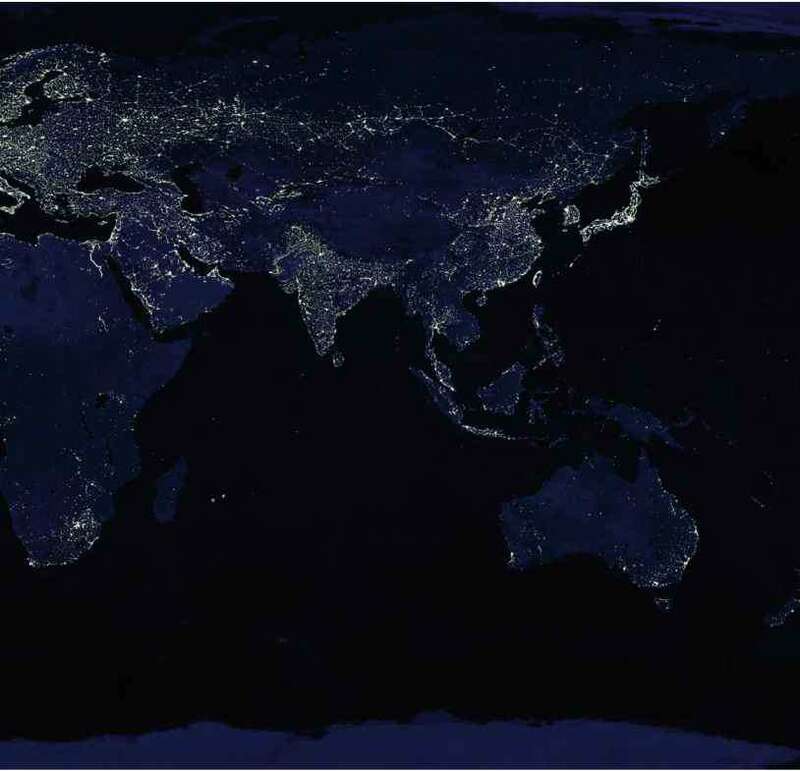 BRIGHT LIGHTS, BIG ciTY: What becomes remarkably clear in this image is the energy usage in the United States, western Europe, and Japan, as compared to Africa and the rest of the world. The major national and regional contributors to greenhouse gas emissions are evident. is composed of a very shallow layer of warm water that floats on a much colder, deep layer. So shallow is the warm layer that, at the equator near the dateline where the surface waters are warmest, the average temperature of a vertical column of water is barely above freezing. An important consequence is that the winds blowing in the right direction can easily expose cold water to the surface by driving oceanic currents in the right direction. The westward trade winds do this along the equator. They drive the warm surface water westward, causing cold water to appear near the Galapagos Islands. Winds parallel to the western coasts of Africa and the Americas, north and south, similarly drive currents that bring cold water to the surface. Some of the oceanic currents are very slow and deep, others are swift and shallow and include the Gulf Stream and Kuroshio—narrow, rivers of warm water that flow poleward. 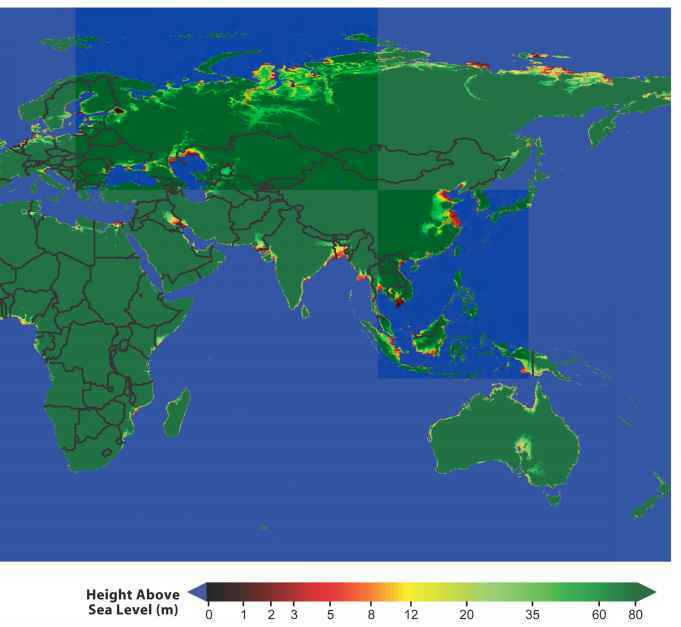 These currents redistribute heat and chemicals, thus determining patterns of sea surface temperature and oceanic climatic zones that are evident in satellite photographs of the distribution of chlorophyll at the surface of the Earth. Chlorophyll is produced by phytoplankton, literally plants that wander. Those plants, and other life forms that depend on them, are most abundant near the ocean surface, because they need light that penetrates only tens of feet or meters below the ocean surface. When that living matter dies, it sinks and decomposes so that the cold, deep ocean is rich in nutrients. It follows that ideal conditions for biological productivity—an abundance of light and nutrients—exists where the deep water rises to the surface. These are known as the oceanic upwelling zones, where surface waters are cold, such as off the western coasts of the Americas and Africa. The absence of a layer of warm surface waters around Antarctica makes the Southern Ocean another highly productive zone. 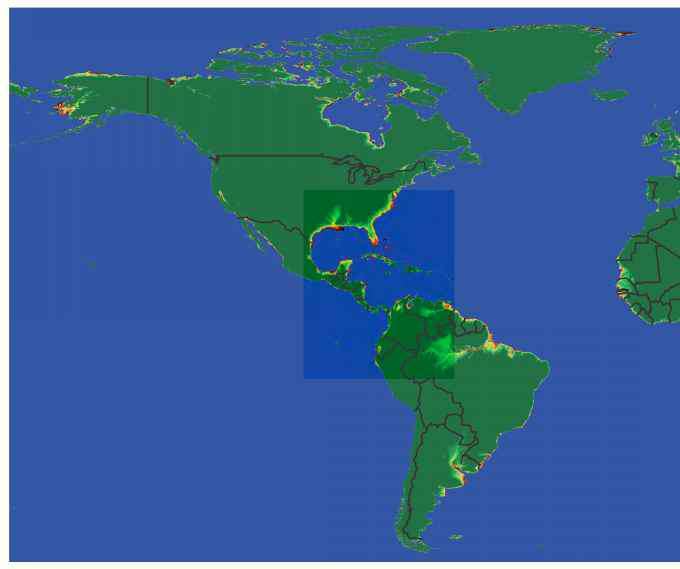 Note that the subtropical ocean basins are in effect oceanic deserts with very few plants, because there is practically no exchange between the warm surface waters and the cold water at depth. JULY AND JANUARY: True color composite satellite maps of the Earth's surface in July (above) and January 2004 (at right) from NASA illustrate the significance of seasonal snowfall. decay. This continual flow of carbon between the ocean, atmosphere, and biosphere (the assemblage of all life on Earth) causes variations in the atmospheric concentration of carbon dioxide. Many people think of the composition of the atmosphere as fixed, in the way that water in a glass is composed of two parts hydrogen and one part oxygen. In reality the atmospheric composition changes continually because each constituent participates in a biogeochemical cycle. (The best known is the hy-drological cycle, which is associated with continual changes in the atmospheric concentration of water vapor.) At present, we are interfering with the carbon cycle by burning fossil fuels, and thus emitting carbon into the atmosphere. The oceans and the plants absorb a large fraction, but much remains in the atmosphere so that the concentration there is rising rapidly. ALBEDo EFFEcT: Snow-covered regions effectively cool the Earth by reflecting sunlight back into space, and hence changes in the range of snow cover can serve to amplify climate changes. A thousand years ago, the northern Atlantic was so warm that Greenland had a large enough population for the pope to send a bishop. temperature contrast between the western and eastern equatorial Pacific during La Niña drives intense winds that weaken when the contrast weakens. This circular phenomenon—atmospheric changes are both the cause and consequence of oceanic changes—implies that El Niño and La Niña are consequences of interactions between the ocean and atmosphere. We know a great deal about daily changes in weather because we have ample opportunities to study those changes. Over the past few decades, we learned a fair amount about El Niño, because that phenomenon occurred several times during that period. The past centuries and millennia were also characterized by naturally occurring fluctuations, but information about those climate fluctuations is scant, because of the lack of instrumental records. A thousand years ago, the northern Atlantic was so warm that Greenland had a large population, sufficiently large for the Pope to send a bishop. That warm period was followed by the frigid Little Ice Age. Those changes were presumably aspects of natural variability, but as yet they are unexplained. Because we know very little about natural variability, it is not possible to determine whether a few unusually warm years, or a few intense hurricanes such as Katrina, or the unusually strong El Niño of 1997, indicate the onset of global warming. Scientists had to search carefully for distinctive patterns, for the "footprints" of global warming, before they could conclude in the 2007 IPCC report that humans activities are affecting the global climate. NATURAL FLUcTUATioN: With a timescale of years rather than days, the oscillation between El Niño and La Mña in the Pacific ocean governs weather patterns and storm activity. Some 65 million years ago, the Earth was so warm that there was no ice on the planet. Palm trees and crocodiles flourished in polar regions. TEMPERATURE MAP: The areas in dark red with the highest temperatures correlate to the Precipitation Map—regions with the highest precipitation are also the warmest. the atmosphere. Continental drift therefore affects the atmospheric composition by bringing into play processes that increase, and others that decrease, the concentration of carbon dioxide. Volcanic eruptions contribute to the increase, the building mountains to the decrease. 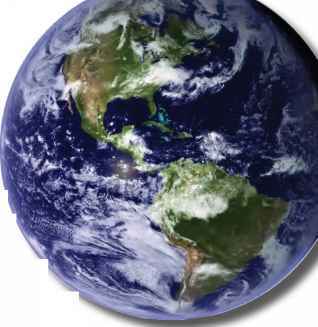 Continental drift affects climate in a more direct manner by changing the distribution of continents. At one time all the continents were together and formed a supercontinent, Pangea, with a northern part known as Lau-rasia, and a southern Gondwanaland that included the Antarctic continent. With the breakup that started around 250 million years ago, Africa and South America separated to form the Atlantic Ocean. India traveled northward until it collided with Asia, and started creating the Himalayas. Introduction xxix much longer periods of thousands of years are associated with slight oscillations of the tilt of the axis, which also precesses, while the orbit changes gradually, from a circle into an ellipse, and back to a circle. The moon and several planets cause these Milanko-vitch cycles, which have been present throughout the Earth's history. The climate fluctuations induced by these sunlight cycles were modest up to 3 million years ago, but then started amplifying. That amplification required positive feedbacks that translated the slight variations in sunlight into Ice Ages. The feedbacks were brought into play by the drifting of the continents. A complex and poorly understood interplay between the slow, erratic drifting of continents, and the regular variations in sunlight, caused the Ice Ages to be absent during some periods, and prominent during others, such as the present. Glaciers, because they are white, reflect sunlight. This reflection deprives the Earth of heat, lowers temperatures, and promotes the growth of glaciers. 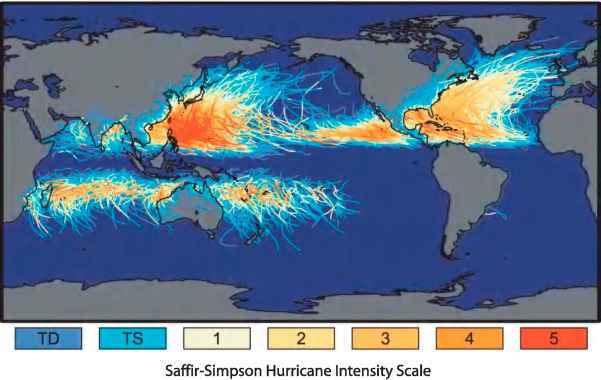 HURRICANE PATHS: A plot of the intensity and paths of hurricanes and typhoons. How global warming will affect the development and strength of storms is a subject of debate and study. PoTENTIAL FLooDING: This is a topographic map designed to emphasize regions near sea level that could potentially be vulnerable to sea level rise, though over centuries rather than decades. promotes the growth of glaciers. Hence, the appearance of continental glaciers was one of the feedbacks that amplified the response to Milankovitch variations in sunlight. Trapped in those glaciers are bubbles of air that tell us about past changes in the atmospheric composition, past variations in the atmospheric composition of carbon dioxide. As yet it is not known why the concentration varied, or to what degree the variations contributed to the temperature fluctuations. in the history 0 our planet for at leasttwo reasons. The first is that the Earth is currently in an era of high sensitivity to small disturbances. Starting approximately 3 million years ago, the Earth's response to slight variations in sunlight, the Milanko-vitch cycles, have included enormous climate fluctuations associated with recurrent Ice Ages. Only some of the feedbacks that are involved have been identified. The second reason why the present is special is that we are currently enjoying the temperates of one of the brief interglacial periods that separate prolonged Ice Ages. HISToRY of cLIMATE cHANGE: A compound graphic depicts Earth's climate change across the millennia and centuries. Top: Global cooling over the past 60 million years. middle: recurrent ice ages over the past 600,000 years. Bottom: rise in temperature and carbon dioxide over the past four centuries. The information in the top panel comes from cores drilled into the ocean floor, where sediments contain remains of primitive organisms that live near the ocean surface. the information in the middle panel comes from antarctica, where the accumulated snowfall of hundreds of millennia created deep glaciers. geologic agents, capable of interfering with the processes that make this a habitable planet. For more than a century, we have caused the atmospheric concentration of carbon dioxide to grow exponentially. This, surely, is a time for circumspection and caution.